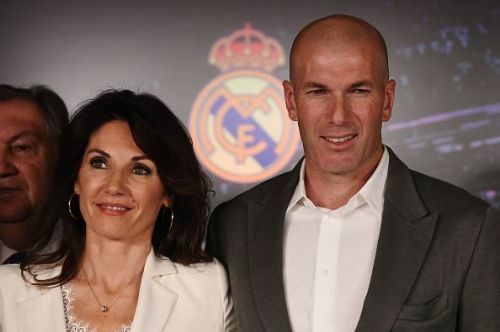 According to Spanish media outlet AS, Real Madrid, under newly appointed manager Zinedine Zidane, are planning to spend huge in the summer transfer window to strengthen their squad. With Los Blancos' interest in Eden Hazard and Kylian Mbappe already well known, AS reveals that there are five other players who are likely to join Real Madrid in the summer. Real Madrid reappointed Zidane as their head coach after his departure 284 days ago. He left Los Blancos few days after winning his third consecutive Champions League title in his first managerial stint at the Bernabeu. Zidane helped Real Madrid to win three UEFA Champions League titles, one La Liga, two Club World Cups, two European Super Cups and one Spanish Super Cup during his previous tenure at the club. Since his departure, everything went downhill for Real Madrid as they sacked two coaches in nine months. A streak of poor performances under former boss Santiago Solari saw Madrid crash out of the Champions League and the Copa Del Rey, which ultimately lead to the Argentine's sacking. Currently, Real Madrid are third in the La Liga, 12 points behind leaders Barcelona. Florentino Perez has promised Zidane that he will strengthen the squad with some much-needed signings, which will include three big-names, while the rest will be lesser-profile players to increase the depth of the team. Real Madrid's last Galactico signing was James Rodriguez in 2014, five years ago. According to the report, Los Blancos are keen to renew their policy of signing star players in the coming summer transfer window. Seven players who could join Real Madrid this summer are Mbappe, Neymar, Hazard, Paul Pogba, Sadio Mane, Harry Kane and Eder Militao. Although the signings are far from guaranteed, it is likely that Real Madrid will be ready to splash the cash in a bid to secure some big names at the end of the season. It will be interesting to see how far Real Madrid are willing to go to secure new signings in the summer, but at the moment they will focus on La Liga. Zidane will be at the dugout once again as Los Blancos host Celta Vigo at the weekend. Real Madrid: With Zinedine Zidane already back at the helm, who else could be on their way to the Bernabeu?